Until the 1960s, Norman Oklahoma was a Sundown Town—simply meaning that Black Americans were not allowed to remain in Norman after the sun set. This rule or custom was not a rule of law but a threat and a warning that there could, and most likely would, be consequences to those blacks who did not high tail it out of town by the time that night fell over the city. For over 60 years, Norman upheld the “custom” until it became difficult to maintain a white supremacy attitude in the midst of racial tensions in the country and the movement for reform and equal rights for all citizens who resided in the United States. 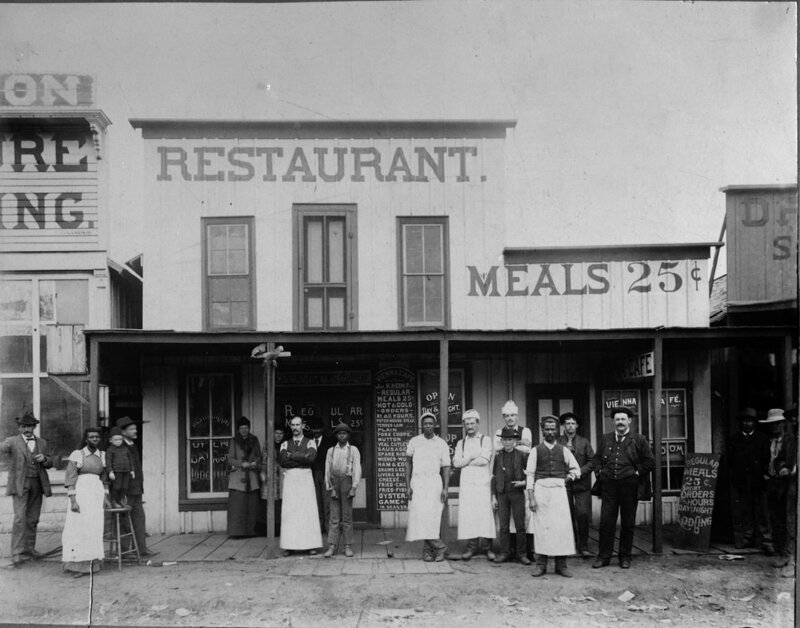 Vienna Restaurant in Norman Oklahoma around 1900. This page is dedicated to the history of African-Americans in Norman and Cleveland County. This is not an easy history to research in that there are so few resources. This is an ongoing project and this page will be updated as I find materials that help us to tell a complete story on the life of blacks in Cleveland County. Follow the links below for historical articles and bibliographies on Blacks in Oklahoma and Cleveland County. The following is a presentation offered by Professor of Political Science at the University of Oklahoma, Dr. Michael Givel.